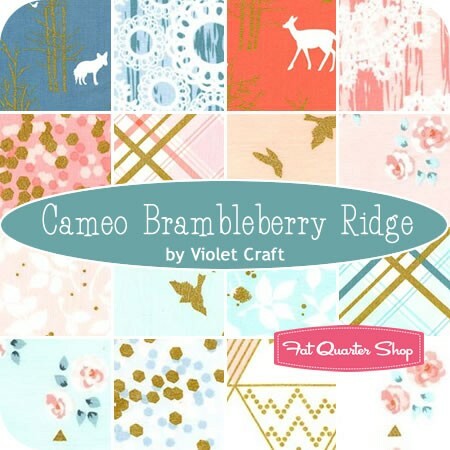 Today I am delighted that the Fat Quarter Shop is generously sponsoring a give away of the Cameo Brambleberry Ridge Fat Quarter bundle. I am totally in love with this fabric line by the lovely Violet Craft and specifically asked for the opportunity to share some it with you. I am sure you already know about the Fat Quarter Shop - they have a huge selection of fabric, notions, patterns, thread, books, magazines - you name it, they likely have it. Perhaps even more importantly, the Fat Quarter Shop is fully engaged with the online quilting community and it gives back to this community in many ways. This shop has a lot for everyone, even if you are not planning to spend a penny. The FQS was started as a part time venture by Kimberly Jolly. It grew to become her full time job, and soon after that her husband joined her. Now the FQS team has 10 people. Their blog is called the Jolly Jabber and on it the FQS hosts quilt alongs and other sewing events, it provides free tutorials, videos, patterns and all kinds of information of interest to quilters. You can also subscribe to the FQS Youtube Channel where you will find great videos full of tips and tricks and tutorials. I often watch the videos while I am sewing. In the last several months, the FQS has been partnering with bloggers for their free patterns and and book launches - yes they also publish their own patterns and books. These partnerships are wonderful to read about because you can see the different approaches taken by different people using the patterns and books. It also means that you know that their patterns have been well tested before you use one of them. The last thing I wanted to highlight about the Fat Quarter Shop is their great customer service. I have called them from Canada and they answer their phone and solve your issues in the friendliest and most helpful manner. They also have recently revamped their shipping policies to reduce this part of the costs of shopping on line for everyone, not just those living in the USA. These fabrics are just so pretty. The parts that you see as gold on the swatches are metallics on the prints. I have washed, dried and ironed my pieces and the metallic parts cause no issues whatsoever. Edited: This give away is now closed. You can enter this give away by leaving a comment on this blog post. I will close this giveaway on Thursday, September 4th about 6 pm MDT and draw a winner randomly from the comments left on this post. In your comment, please check out the Fat Quarter Shop, their blog, or their Youtube channel and let me know what pattern you might want to try or what fabric you have recently bought or are hoping to buy or what videos you are planning to watch soon. If you follow my blog or me on instagram or flickr or some other way, you can leave a second comment, just let me know how you are connecting with me. Please make sure you leave me a clear trail to contact you if you win - email, instagram name, something. If I cannot find you I will draw another winner. Good luck in this giveaway and a big thank you to the Fat Quarter Shop for sponsoring it. I am working on a quilt with these fabrics, I will try to get some photos to share with you soon. I follow you via email & I also have your site bookmarked so I don't miss a thing! That fabric is soooo pretty! My latest purchase from FQS is some Aurifil thread. I have been wanting to try it for a while. This is an awesome giveaway! Thank you! I follow your blog/newsletter. Thanks. I'm dreaming of some Kate Spain Horizon right now. I have a pattern in mind. Thanks. The Fat Quarter Shop was the first store I shopped at when I decided to purchase fabric online a few years ago. They have a video for a tooth fairy pillow that I must watch to learn how to make one for my grandson. Hmmm - that Coffee Koozie looks pretty cute too. . . I LOVE Fat Quarter Shop and have bought from them several times over the years. Right now, I have a mad crush on Somerset by Fig Tree. I would love a FQ bundle of that. It is on my wish list anyway. Thank you and FQS. I hope every one has a wonderful week ahead!! Heatherwood Batiks is on my wish list. Read the Jolly Jabber all the time. Watch some of their videos. This is awesome!!! I love, love , love this line!!! I follow you by email......I would like to make the Among the Stars pattern, or Chantilly quilt, oooh or Debonaire, there are so may awesome patterns. I'm loving Birch Farm !! I love the Chantilly pattern! What a fabulous bundle - thanks! I bought my FQ bundle of Sylvia by Lotta Jansdottor from FQS. I would love to get these fabrics though too. Thanks! And I follow your blog through a reader. I followed you originally through GFC but I read on Bloglovin now. I am always dreaming of more projects to do! I Love the Violet Craft prints. The deer are pretty funny. I also checked out Elementary (since I am a teacher) and I love those text prints/B and W. Sigh. More to love. Thanks so much to you and FQS for the opportunity to win so e of this beautiful line! I love the FQS YouTube videos, I watch them when I sew, too! I love the ones where Kimberly has a guest designer in, I pick up so many little tips! I'd like to watch the one about machine finished binding, I haven't settled on a technique that I love. I follow your blog with Bloglovin'! I would like to try the Arizona FQ bundle, it looks gorgeous! Last weekend I made two Coffee Koozies from the free pattern from Fat Quarter Shop, they work like a charm! I love FQS free patterns. I'm a novice Quilter and the free patterns are my speed, using pre cuts like jelly rolls to make it even easier. I love this collection and am actually about to purchase some of the Quartz collection to make cushions for my mother-in-law. I prefer pinks over purples so I would use this collection for myself. I am using their mini charm tutorial for coffee coozies to make some fun Christmas gifts. Their YouTube channel is great. I like the nail polish quilt...so different! Love the gold sparkle in violet craft's new fabric line. Lovely! My two year old daughter would say, "ooooh, it's so broccoli." (Sparkly!) :). I recently got some up parasol by heather bailey on FQS. I follow you via bloglovin and by email! Here is to a productive season for both of us!! Enjoy visiting! And a little shopping with friends doesn't hurt either! I'm planning an animal themed quilt, and this would show off the fabric patterns perfectly! I follow you on Bloglovin', thanks for the giveaway! I follow you bye mail. still wondering what to with a Fat Quarter bundle of Kate Spain's Good Fortune. Cant seem to cut into it, its so pretty. Love FQS and their free patterns and tutorials! I'd like to try the Dove in the Window block. I love FQS and follow their You tube channel and their blog. I recently bought some of the brambleberry fabric to make Violet Craft's Forest Abstraction Quilt. I love this line.I also want to make their jellyroll quilt pattern. 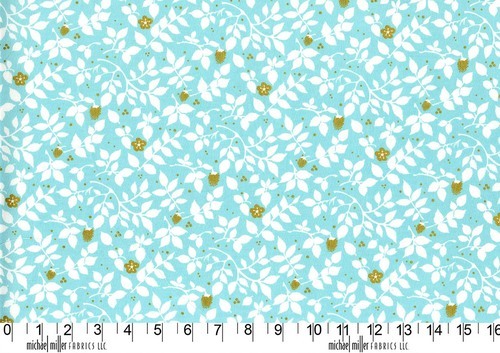 I love this fabric and would really enjoy making something with my own pattern. I am also loveing the up parasol collection that the Fat Quarter Shop carries! Thanks for the chance. love Hadley.... fabric and blogger! And I follow you too in all sorts of ways! I recently bought the new Kim Diehl range, ' Vintage Farmhouse' from FQS. I love the metallic bits on this range you are featuring. I might want to try Jelly roll jam II as I seen some fun version around the interwebs. I am enrolled in their Mystery Block of the Month and Bloggers bundle. Check out their new tutorial for a cute coffee cozie. Thanks for the great giveaway. I have used FQS and had packages sent to me in the UK and to my friends home in the US - great service and really quick turnaround. I would get some Emmy Grace or Cotton +Steel basics bundles! HAPPY TO FOLLOW ON BLOG LOVIN' ! BIG THANK YOU'S TO YOU+FQS! I'd like to use Cameo Brambleberry Ridge, with my own pattern and make a new charity quilt! I think I would love to add Horizon by Kate Spain to my sash. What a great give away! Love the FQS. They always help out in the best way they can! I've got my eye on Moonshine. I follow you on Instagram (kimberj56), Facebook (Kim Jameyson), and Twitter (arthurndi)! I buy a lot from Fat Quarter Shop and I especially like their botanics extra wide quilt backs. I'd really like to make the nail polish mini from the FQS tutorial. wow!!! .thank you for this chance Leanne!! I love The Fat Quarter Shop. My last purchase with them was a number of quilt backing- many of which were out of their great sale section. I am needing to stock up on my Kona solids so I hope to do some more shopping with them soon. I went to the Fat Quarter shop, loved (and ordered!) the Olaf quilt. I'm an admitted "Frozen" fanatic! Thanks for the giveaway, hoping for a win! I always drool over FQS blockfof the month clubs - I WILL do a Civil War one before long. That fabric is beautiful! I love the textures in it. I follow you through Bloglovin' and on Instagram and I'm pretty sure on Flickr too - but I can't get into my account so I can't ge sure. *rolls eyes* Poor Flickr is busted up! Thanks for the giveaway. I really like the combo of the gold and nature on these prints. I have had my eye on the British Invasion Rolie Poly by Riley Blake. I follow you using Bloglovin. My thanks to you and FQS for the giveaway. Beautiful fabric. I really can not wait to see them in person. Thanks for the opportunity to win! PS- i follow you on bloglovin. Thanks! I also follow your blog via Feedly! I love the fabric you are offering with Fat Quarter Shop. They never disappoint us when shipping and now they have even lowered their shipping costs. I love the Sweetwater line with Elementary....I have bought B&C pattern and did the April Showers Umbrella Quilt top this spring using their fabric....it is all good! !....Thanks bunches....or quarters? The fabric that you are offering is wonderful. I'd love to have the new FQ pattern book that the FQS just came out with! I follow you by email, and love it! No one does an online video better than Kimberly. She is the gold-standard, so I always watch anything the FQS produces. My latest fabric purchase was some double gauze for a warm quilt for my daughter's dorm bed. I'm really looking for scrappy patterns lately. County Fair looks like a great one! I follow you on bloglovin and on instagram. 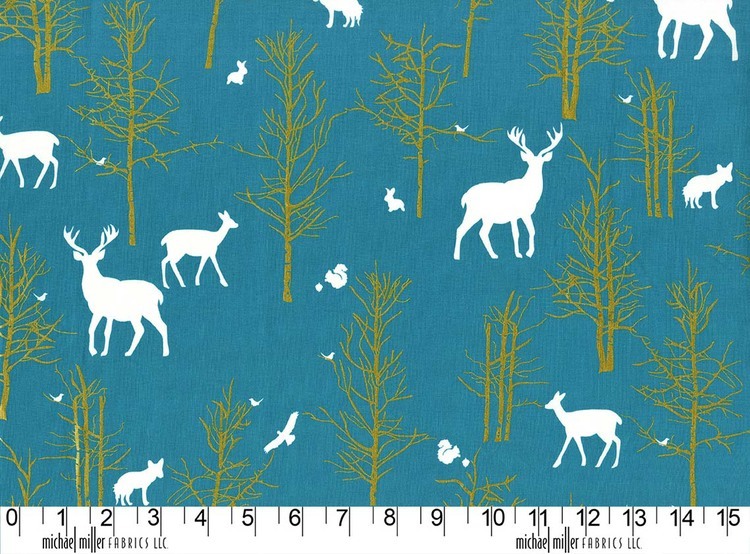 Love that fabric, especially the deer! I recently got a great deal on some Barcelona fabrics from FQS and now I'm drooling over Figures. I'm on a bit of a Zen Chic kick lately. I love the new lower shipping rates at FQS and things I order from them always come quickly and in perfect condition. Actually, I've been crushing on this! I love Violet Craft!!! I follow your blog via email. Thanks for the giveaway. 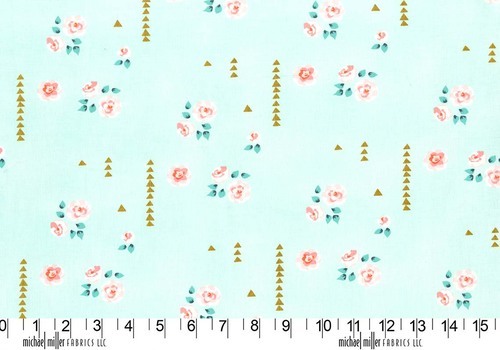 I want to get some Miss Kate yardage from The FQS. I also subscribe to their you tube channel and I enjoy watching their tutorials. I love Fat Quarter Shop! They have great customer service, fast shipping, fantastic Mystery Quilt BOM's and a great Daily Deal. I'm waiting for At Daybreak by A Prairie Gathering to arrive so I can order it. I subscribe to their Youtube channel and the Jolly Jabber as well as follow them on FB and by email. Can you tell I'm a fan? Thanks for the chance! I follow your blog via Blogger and Bloglovin. Love these fabrics & the FQS's free patterns! I plan to watch some videos while I sew - thanks for the reminder and the giveaway! I love Fat Quarter Shop. I just bought a bunch of charm packs. :) I would love to make a rail quilt. If this doesn't work to email, I'm on Instagram surfmclean5. I am following you on Bloglovin. Thank you for the giveaway! I love THIS fabric. Thanks! I didn't know about the Fat Quarter Shop's Youtube channel. I am really interested in Charm Pack Cherry series of videos. I am always buying something from FQS. Great service and wonderful fabric. I'm working on a Granny Square quilt from Lori's book right now. I have shopped at FQS for several years. Their customer service is the BEST! I hope I'm a winner. I love FQS and Jolly Jabber. Thanks for the opportunity. 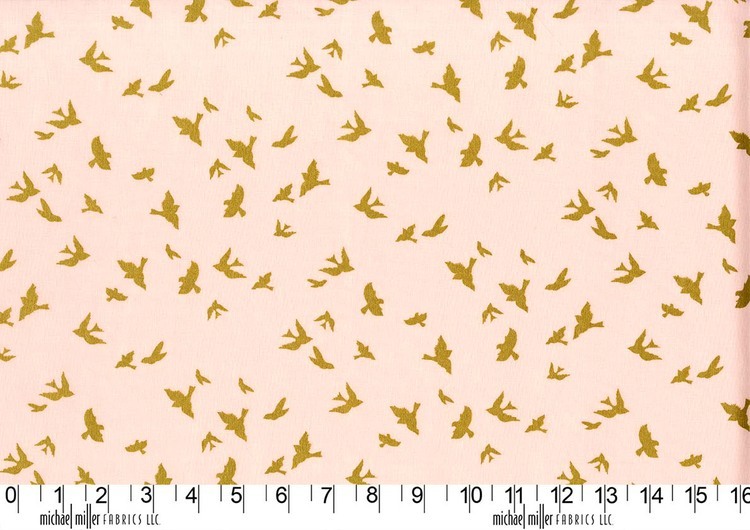 I love browsing FQS for modern prints I can't find in local quilt shops. In particular love text fabrics and bright colors. The giveaway fabric is gorgeous! This really is a beautiful fabric line. I love Fat Quarter Shop! The last thing I ordered was a FQ bundle of Lottie Da and Reminisce. Their prices are unbeatable! I need to move away from squares and rectangles in my quilting and so the Garnets and Rubies quilt pattern looks to be an ideal introduction to triangles. Gumdrop Garden quilt pattern looks interesting, and I think I need some of the fabric above with the tiny little bunnies on it! I've recently stocked up on Kona Cotton Solids with a couple of orders from the Fat Quarter Shop & they were so incredibly helpful, their customer service really is the best. I'm planning to make one of the Charm Pack Cherry quilts from their YouTube channel as a quick & easy baby gift. Thanks for the awesome giveaway, I'm abig fan of Violet Craft's designs. I follow you n Bloglovin & Instagram, thanks. I'm making baby quilts using their cherry charm pattern! I follow you in Bloglovin'. Ooohhh I love this line and I love FQS. I just made the jelly Jam 2 quilt top this weekend. So fast and a great way to use up a jelly roll! Thanks for the chance to win. Over at FQS I'm drooling over purse patterns.. I think is like to try that! I'm anxious to see the quilt you're making with these fabrics. They are beautiful as your quilt will be too! Among the Stars block of the month pattern looks fun! Thanks for the chance to win! I am a fan, I follow you on bloglovin! I follow on BL! Thanks for a chance. My stash is screaming for this fabric's company! What a great giveaway. Thanks for sharing. 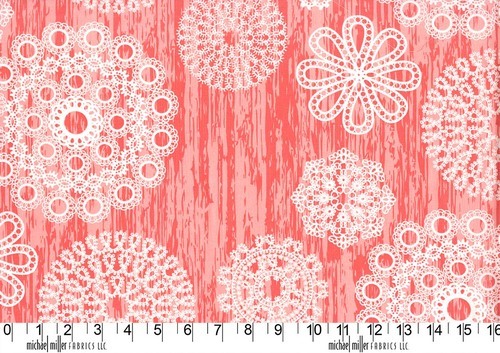 I would love to make a Swoon quilt out of Miss Kate fabric! thank you! I am a follower of your blog also! thank you! I love the muted colours against the freshness of the white. I really like the Fat Quarter Shop's Sisters Choice quilt pattern on You Tube. I want to get the new Lynette Anderson line by RJR called Pocket Full of Daisies. I absolutely loved the Nail Varnish mini quilt and looked at every single blog FQS featured for the blog hop. I also really like the free pattern for the coffee cosy! I currently have my eye on Sew Yummy, I love the prints and the colours! I follow you on Flickr and on your blog. Those fabrics are gorgeous- hadn't seen that line before. I love FQS's precuts of the week! This is a beautiful collection! I love the soft corals and teals, and the animal sillouettes! Thank you for the presentation, and chance to win. I've been a longtime customer of the FQS. They have a great sale section, and it's been amazing to watch their evolution over the years. I love the nail polish mini - just a fun present for a teenage girl! I have had my eye on this collection actually! I love the rose milk fabric in all the colors. I love the 25th and Pine collection, and I would buy all of it. Thanks! I follow by email. Thanks! I love the Cotton + Steel line I have been seeing in blog land. I really want some Arizona or Acorn Trail. It's hard being patient! I've been really drawn to the pinks and golds lately, though, like in the super sweet fabric you have or in Glitz. Just beautiful! I just made a Koozie. I love everything fat quarter, and especially have enjoyed the Edyta videos. I love their half yard bundles. Right now I have Retreat Aunt Grace Miniatures on my wish list :-) . I am sure it is their great customer service along with the fabulous fabrics they offer that has made them so successful. My email is in my blogger profile. I love FQS. I'd like a bundle of solids. I follow your blog thru GFC as Cheryl Simplyblogs. I'm in love with the Cameo brambleberry at the top of your post!!! Love Brambleberry!! I'm excited for all of the new Kona colors! Would love to add some of Joel Dewberry's Bungalow to my projects! I really like the Tisket a Tasket a Basket and the Sister's Choice blocks! Thank you for the great giveaway. I am waiting on a fat quarter bundle of indelible that I am looking for the perfect pattern for! Ah, I love Fat Quarter Shop - they are always my first stop when I'm checking out fabric. 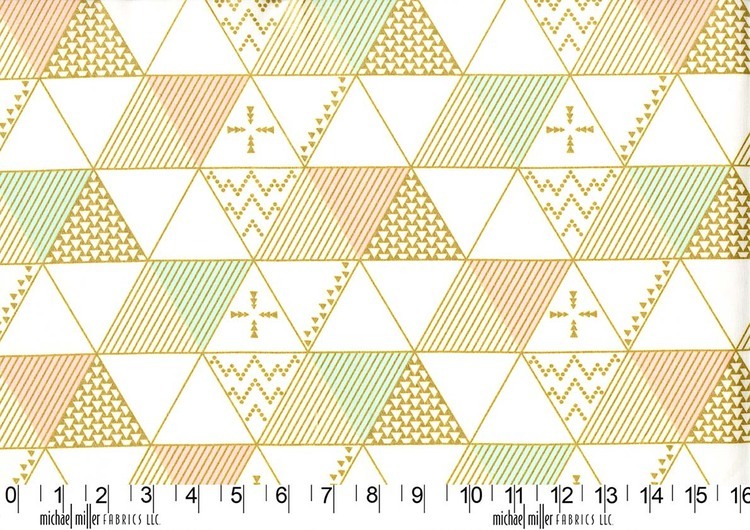 Which reminds me that I need to check out their Christmas fabrics because I really want to make a tree skirt this year! I'd love a bundle of Horizon or Indelible, or Bambleberry Ridge. There are so many choices. I'm following you on IG and GFC. I want Indelible! Thanks for the chance to win! Would love to win this fabric to keep me busy this winter - Farmers Almanac predicting yet another harsh winter!